In 1862, looking for an opportunity to attack Union general John Pope, Confederate general Robert E. Lee ordered Maj. Gen. James Longstreet to conduct a reconnaissance and possible assault on the Chinn Ridge front in Northern Virginia. At the time Longstreet launched his attack, only a handful of Union troops stood between Robert E. Lee and Gen. Unfortunately, due to sales rights restrictions, we cannot offer Second Manassas for sale in your country. In 1862, looking for an opportunity to attack Union general John Pope, Confederate general Robert E. Lee ordered Maj. Gen. James Longstreet to conduct a reconnaissance and possible assault on the Chinn Ridge front in Northern Virginia. At the time Longstreet launched his attack, only a handful of Union troops stood between Robert E. Lee and Gen. John Pope’s Army of Virginia. Northern Virginia’s rolling terrain and Bull Run also provided Lee with a unique opportunity seldom seen during the entire Civil War—that of "bagging" an army, an elusive feat keenly desired by political leaders of both sides. 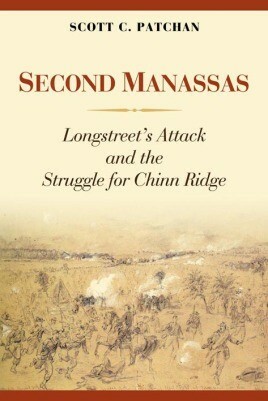 Second Manassas: Longstreet’s Attack and the Struggle for Chinn Ridge details the story of Longstreet and his men’s efforts to obtain the ultimate victory that Lee desperately sought. At the same time, this account tells of the Union soldiers who, despite poor leadership and lack of support from Pope and his senior officers, bravely battled Longstreet and saved their army from destruction along the banks of Bull Run. Longstreet’s men were able to push the Union forces back, but only after they had purchased enough time for the Union army to retreat in good order. Although Lee did not achieve a decisive victory, his success at Chinn Ridge allowed him to carry the war north of the Potomac River, thus setting the stage for his Maryland Campaign. Within three weeks, the armies would meet again along the banks of Antietam Creek in western Maryland. Uncovering new sources, Scott Patchan gives a vivid picture of the battleground and a fresh perspective that sharpens the detail and removes the guesswork found in previous works dealing with the climactic clash at Second Manassas.